Asia, with 4 billion people, almost two-thirds of the world's population, a huge land mass and the fastest-growing economies, has in the past decade transformed the geopolitical global balance. 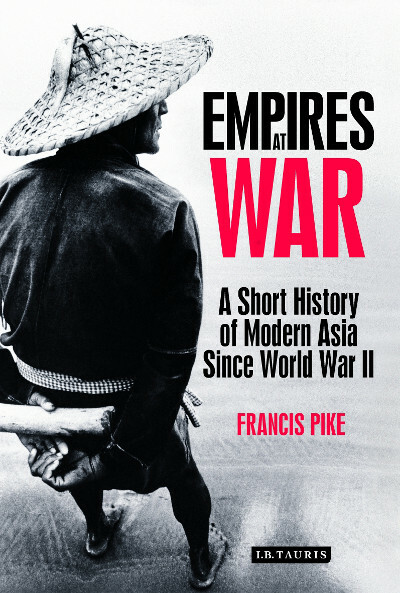 Empires at War gives a dramatic narrative account of how this 'Modern Asia' came into being. Taking the bombing of Hiroshima on 6 August as its starting point, Francis Pike's magisterial Empires at War chronicles the modern fortunes of fourteen Asian countries. The story is set in the context of the battle for control of Asia between the American and Soviet Empires. Francis Pike also shows that the long drawn out war between these adversaries was a continuation of a 100-year competition for power in the region between these and other nations. Famous figures such as Mao, Gandhi, Nehru, Sukarno, Ho Chi Minh, Kim Il Sung, General MacArthur, Lord Mountbatten figure prominently, but so also do a host of lesserknown pivotal figures like Sheikh Mujib, the founder of Bangladesh, and Dr. Mahathir, the long serving authoritarian Prime Minister of Malaysia. The dramatic events related to Empires at War include not only the great battles between American and Soviet backed forces in Korea and Vietnam but also episodes such as Indian 'Partition', Japan's 'Lost Decade', Indonesia's 'Year of Living Dangerously' and Cambodia's 'Killing Fields'. Francis Pike also argues cogently that, while the superpower conflict may have been the structure within which Asian countries operated, contrary to the largely 'Westerncentric' viewpoint, Asian nations were not simply passive and biddable pawns, but had a political development that was in large part independent and self determined. In conclusion Empires at War traces the unwinding of American power and influence after its 'Cold War' defeat of the Soviet Union.